Reading all these posts about the series II ECU issues, its disheartening. Unless I'm missing something, there has yet to be a Series II that is successfully turbo-ed or supercharged. Why are they keeping it to themselves? Thats just rude. There are obviously others who want to go FI. I know I do. Wish there were some updates. I'd love to be on board with getting a supercharger. Hopefully the secret gets revealed! Hey what's going on there we are waiting to see any series 2 sc'd or turbo'd rx-8's what a car what a ecu ha ?! Hi guys...im new to this forum. .jus wanna share my set up on my S2 type s.Hope u guys like it. ..
Hi newbie here, would love to see a supercharger, would be great performance boost, hope its going well! Been having issues trying to load pictures of my work so far, been doing alot. The final design is pretty much done, gotta clean up the final drawing and complete the final mockup of the intake into the supercharger. Can't imagine the mechanics of the kit would be much different. Usually any S2 FI complications artist because their is not a trap tunning solution yet. Cobb is for S1 only and I don't know if MazdaEdit works on S2. 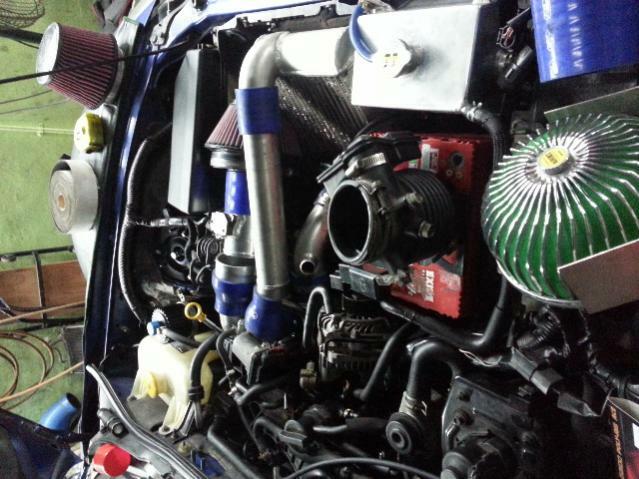 Australian RX8 owners turboed their r3's they used microtech ecu tune is easy if they use standalone units. Microtech was garbage with S1 kits can't imagine it on an S2. I think the concensus is, if you want FI on your S2, then you will need to do it yourself and have someone familiar with MazdaEdit help you tune it as there we not enough S2's sold to warrant development of a mass selling kit by anyone. It wouldn't be cost effective for any of the larger more reputable companies to spend the development time and money when they won't make much if any profit on it. I don't know man... I've yet to see any kind of FI setup on a series 2 rx8. It's a shame the tuner support for this car dropped when the S2's came out.